To make money from blog advertising is easy to try, but very few bloggers think that blog ads reduce professionalism of blogging. Almost every blogger try to make money from their blogs by blog advertising at any point during the their lives as bloggers. Without great content & better traffic to blog is not good to try to make money, blogger intense to make money from it but if careless about blog content and traffic then it will damage your blog. Before start advertising on blog, must decide and research about blog advertising benefit & draw back from various sources. Money making from blogs can be in various format and types to advertising. Research opportunities for money making from the blog without affecting readers, also must care about that ads doesn’t affect your content. Because great content will drive traffic to blog and will satisfy readers. There are a number of ads types and formats can be published on blog for monetization. Pay-per-click (PPC): Advertisers pay the blogger each time a person click on ads. Pay-per-impression (PPM): Advertiser pay the blogger each time the ad appear on webpage/blog page. Pay-per-action (PPA): Advertiser pay the blogger each time a person click the ads and perform an action like make purchase or fill survey/contact form. Advertising models are broken into different type of ads that blogger can publish on their blogs to monetize it. Contextual Ads: These ads are text, images, video ads that are display on blog page which is very much relevant to the content of webpage or visitors interest area. Advertise display program algorithm get information from browser and show relevant ads. Negative in this ads format is that if algorithm failed then it will show irrelevant ads on webpage which CTR will be less, means less monetization from blog. Some popular contextual ad programs are Google Adsense, Media.net, Kontera, Clicksor, Chitika etc. Text Link Ads: Text link ad means linking to advertiser page from content of webpage as text link. This ad type is risky now-a-days because google punish both advertiser and publisher involved in text link ads. Google crawl webpages and collect other page from link within that page. Also this links pass juice to linked page and adverting link may be irrelevant to content so google change its algorithm to make search better. I will suggest not to type this ad type, some know text link advertiser are textlinkbrokers, text-link-ads, linkworth, linkadage etc. Impression Ads: This ad type most popular because this type ads doesn’t need no action by visitor to earn money. If blog doesn’t have very high traffic to blog then its not a nice ad type to monetize blog because advertiser pay less fee such as 0.10$ per 1000 impressions. 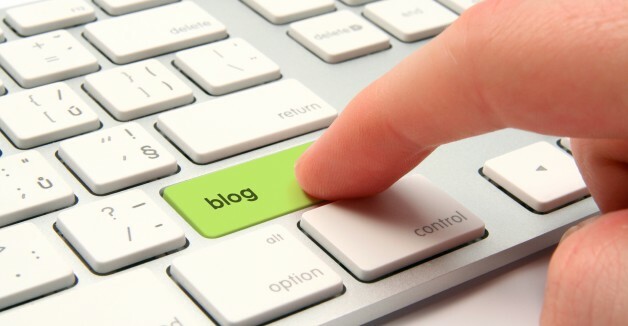 If blog get high traffic then its good to place on blog because as per your traffic amount you will get confirmed amount of money each month. Popular Impression based ad programs are tribal fusion, ValueClick Media, Burst Media, Six Apart Media etc. Affiliate Advertising: Making money from affiliating products on blog is very know, this type of ads is PPA based which need click on ads & action like purchasing. For each complete affiliate action advertiser pay the blogger on commission basic from the selling of product. If visitor of blog doesn’t take action on advertiser product, then blogger will not able to make good money. Some affiliate programs are Amazon Associates, eBay Partner, LinkShare, Commission Junction, E-junkie etc. Direct Sell Ad Space: Advertiser pay blogger day/month/year basic for placing ad in some particular place on blog. Use third party to facilitate ad placing on blog. You can use BuySellAds, blogads to get place ads on blog from advertisers around globe. Review Post: Many blogger like this type of advertising model to make money because it for each review/paid post a blogger can earn 5$-25$ just by spending 2-3 hours for writing an article. But this ad type may impact on your website traffic and ranking because of paid post which may be complete irrelevant to your website content. You may try these popular sponsored/paid review post program to make money – SocialSpark, Payperpost, Sponsered Reviews, Review Me, PayU2Blog etc. Place Ads in Blog Feed: As like earn money by placing ads on blog, place ads in blog feed to make few more money. Google Adsense and Pheedo gives facility to place ads in blog feed. Merchandising: Also you can sell merchandise like t-shirt, cap, mug etc with your brand name from your blog to your readers/fans. Comment below to discuss more about it and making money from online programs.